While the Sensex touched an intra day low of 33,723 down 1037 points, Nifty crashed 322 points to 10,138 level. 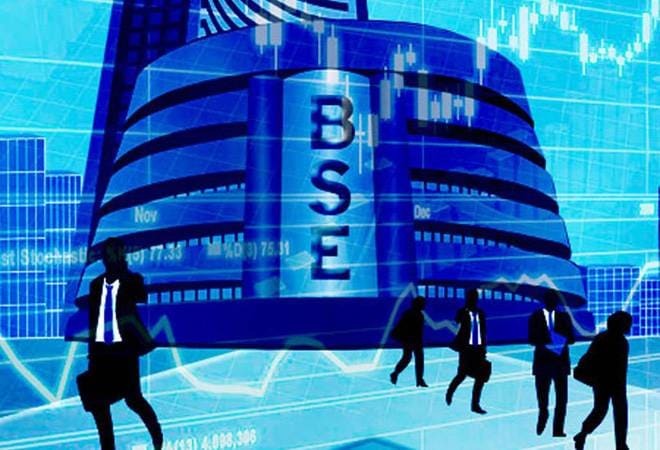 A day after the Sensex and Nifty staged a smart recovery, the indices were caught in a bear market trap originating from the US after stocks fell there on fears that rising interest rates and trade tensions could hurt company profits. The Dow Jones Industrial Average fell 831 points, its worst loss in eight months. Asian stocks too were hit by the US market crash and closed lower. The contagion spread to the Indian markets with the Sensex closing 759 points or 2.19% lower at 34,001 in trade today. The Nifty too tanked 225 points or 2.16% to 10,234 level. SBI (5.74%), Tata Steel (4.60%), and Vedanta (4.45%) were the top Sensex losers. Of 30 Sensex stocks, 27 closed in the red. Meanwhile, the rupee fell to its all-time low of 74.48 to the dollar on the back of losses in the equity market. The currency is down over 16% since the beginning of this month. ONGC (2.86%), YES Bank (2.54%) and HUL (0.75%) were the top Sensex gainers. Mid cap and small cap stocks also took a beating with the indices falling 2.34% and 1.41%, respectively. Banking stocks led the losses with the BSE bankex falling 628 points to 27,751 level. Bank Nifty closed 537 points to 24,783 level. Intra day, the index crashed 828 points to 24,493 level compared to its previous close of 25,321. The banking indices today wiped almost all of their yesterday's gains. On Wednesday, banking stocks led led by BSE bankex rose 968 points or 3.53% to 28,381 level. Bank Nifty too closed 794 points or 3.24% higher to 25,321 level. Auto stocks were also among major losers with the BSE auto index shedding 513 points to 19,632 level. Of 19 BSE sectoral indices, 17 closed in the red. Meanwhile, investors lost over Rs 2.63 lakh crore in market wealth in just one trading session today. Arun Kumar, market strategist at Reliance Securitie said,"The market internals of key indices are hovering around their respective extreme oversold zone and yet to confirm or display signs of bottoming out. The market breadth has been negative during this period. In this scenario, the index may find initial support around 10,000 plus minus 150 points and bounce back. Since the ongoing fall has been sharp and almost unidirectional, any rise here on has to be treated as a counter trend move. So in all probability the index on confirming a near-term bottom may attempt to rise towards 10600 - 10800 zone and subsequently resume its second leg of correction which could see it dip towards the zone of 9800." Market breadth was negative with 819 stocks closing higher compared to 1765 falling on the BSE. On Wednesday, the Sensex rose 461 points or 1.35% to 34,760 and Nifty ended 1.54% or 159 points higher at 10,460 level. "The two-day rally was a classic bear market trap. Corrections in momentum markets rarely last beyond two higher highs and today was no exception," Vinit Bolinjkar, head of research at Ventura Securities said. "Breaking 10,150 (on Nifty) would mean mayhem now. 9600-9800 will be the next support level," he added. Tokyo's Nikkei 225 gave up 3.9 percent to 22,591.10 and the Shanghai Composite lost 4.3 percent to 2,607.44. The Kospi in South Korea fell 3.6 percent to 2,148.97. Australia's S&P/ASX 200 slipped 2.4 percent to 5,906.00. Stocks plunged in Taiwan and fell across Southeast Asia. US stocks slumped on Wednesday as concerns over rising interest rates and trade tensions caused a sell-off in technology and internet stocks. The Dow Jones Industrial Average suffered its worst loss in eight months, falling 3.1 percent to 25,598.74. The S&P 500 index sank 3.3 percent to 2,785.68. The Nasdaq composite, which has a large contingent of technology stocks, was 4.1 percent lower at 7,422.05. It has fallen 7.5 percent in just five days.